The author is an alumnus of San Sebastian College-R, Manila with the degree of Bachelor of Arts, Major in Political Science in 1990 and Bachelor of Laws in 1997, and became a member of the Philippine Bar in 1999. He has a significant experience in the legal and judicial field; an academe, and teaching remedial law subjects at the University of Batangas (Batangas City and Lipa Campuses). 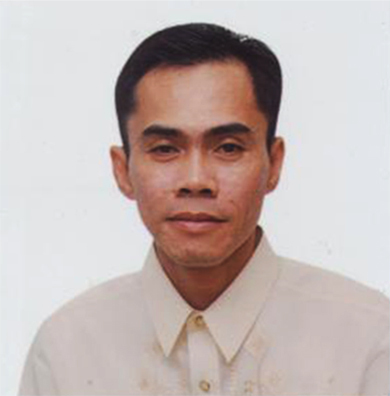 At present, he is the Presiding Judge of the RTC, Branch 92, Quezon City; Acting Presiding Judge of the Regional Trial Court, Branch 5, Lemery, Batangas and a Judge Designate (for special cases) in the Regional Trial Court, Branches 39 and 40, Calapan City, Oriental Mindoro. In performing the duties of the aforementioned designations, he has proven to be an excellent ambassador of the judicial system. As such, he dramatically reorganized and revolutionized the system in his court. For this achievement, he was awarded the Best Performing RTC Judge in Quezon City with the Highest Disposal Rate in year 2012. He was also acknowledged for his remarkable contribution in the Judiciary with Judicial Excellence Award conferred by the Rotary Club International, Sta. Mesa Chapter, Quezon City on April 7, 2014, and as an Outstanding Alumnus of San Sebastian College of Law-R on January 15, 2014.